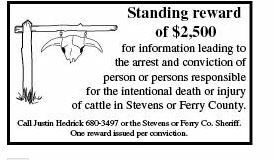 The Stevens County Cattlemen’s Association (SCCA) recently ran ads in newspapers in Stevens and Ferry County offering a $2,500 reward for information that will help find who has been killing and maiming their cattle over the last two years. Ads were featured in both the Statesman-Examiner (Colville) and the Ferry County View (Republic) over the last two weeks. 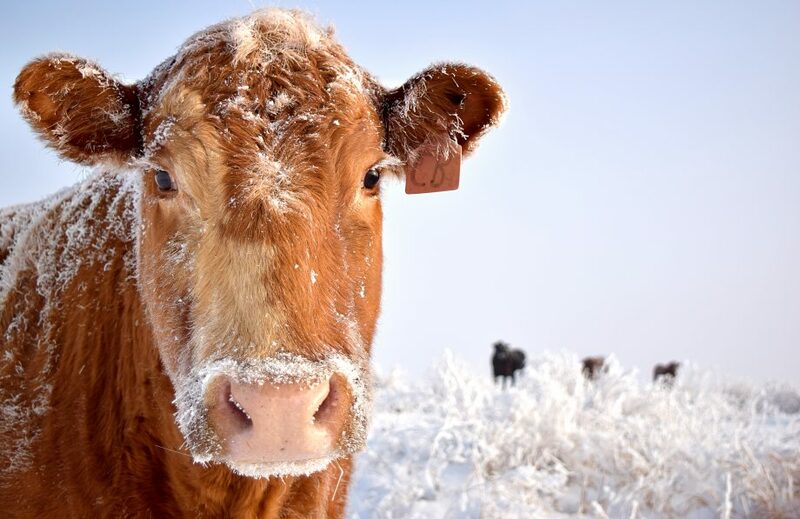 Over 15 head of cattle belonging to various local ranches have been shot and left for dead in the last 18 months in Stevens and Ferry County. In nearly every instance, the animal was shot near a public roadway. In addition, another rancher had a cow hit by a vehicle and left to die. Tire marks leading to the carcass showed that the vehicle accelerated in order to hit the cow and that the incident was not accidental. Although the incidents have been reported to law enforcement, no one has been arrested or charge in connection with any of the killings. SCCA President Justin Hedrick said some of the cattlemen are suspicious the senseless acts were in retaliation for the strong stance SCCA has taken on the wolf issue. SCCA has opposed the unchecked growth of wolves in Eastern Washington and called for greater controls as many SCCA members have suffered livestock losses to the predator. SCCA is encouraging those with information to either call Hedrick directly or call the Stevens or Ferry County Sheriff’s offices. Information that leads to an arrest and conviction will be eligible for the $2,500 reward. One reward is being offered per conviction.